This is our take on a motor driver board using Toshiba’s excellent TB6612FNG dual motor driver IC. This breakout board uses Toshiba’s TB6612FNG dual motor driver, which can independently control two bidirectional DC motors or one bipolar stepper motor. 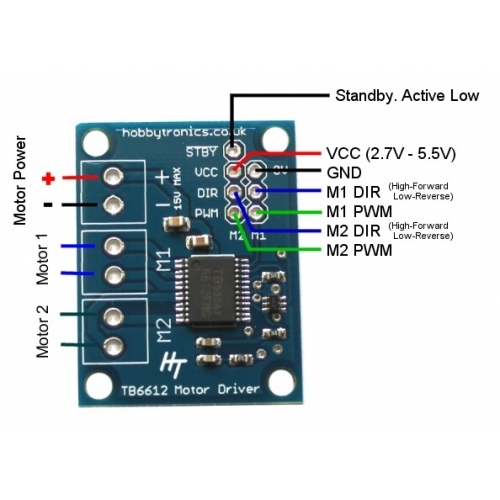 A recommended motor voltage of 4.5 – 15 V and peak current output of 3 A per channel (1 A continuous) make this a great motor driver for low-power motors. The TB6612FNG MOSFET-based H-bridges are much more efficient than the BJT-based H-bridges used in older drivers such as the L298N and Sanyo’s LB1836M, which allows more current to be delivered to the motors and less to be drawn from the logic supply. The TB6612FNG IC requires two direction control logic inputs for each motor (one for Forward, one for Reverse). Our version differs from other TB66 based boards as we use Mosfet transistors to convert this into a single direction input signal like most other motor controller IC's. We think this makes it much easier to use. The STBY pin is pulled high by a pullup resistor and must be driven low to put the driver into standby mode. 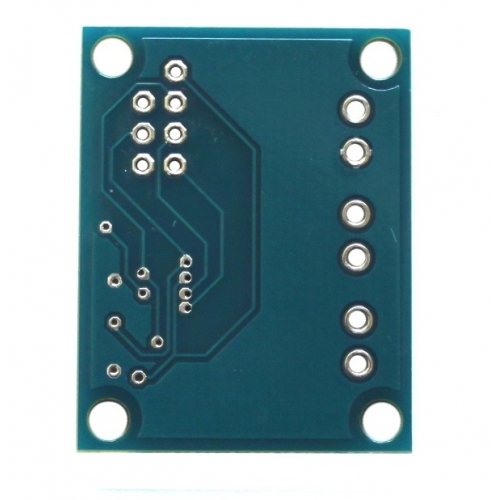 We have also made the signal input pins (except for the STBY pin) into a 2x3 pin layout to make it easier to connect up the board using a ribbon cable and 2x3 IDC connectors. The motor power input and the two motor output connections are suitable for use with 3.5mm Screw Terminals (not supplied). 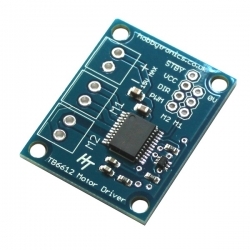 The TB6612 motor driver used on the carrier board has a peak current rating of 3 A per channel. The peak ratings are for quick transients (e.g. 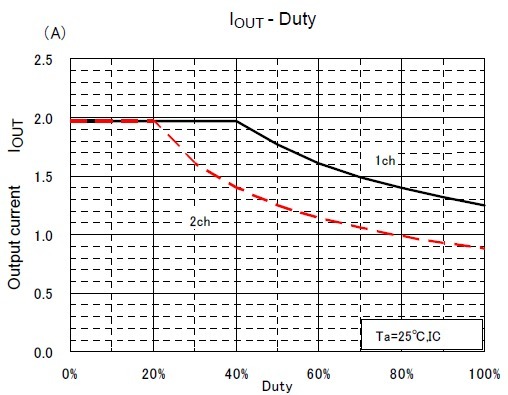 when a motor is first turned on), and the continuous rating of 1 A is dependent on various conditions, such as the ambient temperature and more importantly the PWM Duty Cycle.